Boerne Air Conditioning Experts is the local leader in heater repair and installation in Timberwood Park, TX and the nearby areas. Do you ever wonder if your heating temperature is set too high in the winter? Or maybe set too low? How do you determine the best heating temperature? Our team did some research and found out there are some averages and there is some data to back up what the best indoor temperature should be during the winter months. It goes without saying that your climate will dictate a lot of the variances. For instance, if you live in a humid climate, a few degrees lower can really feel a lot more comfortable; however, northern, dryer climates will feel a little better with a couple degrees added to the thermostat. This is why it is best to build your heating temperature for the variables in your home. For climates like ours in Timberwood Park, TX, 72-75 degrees F heating temperatures during the winter months can feel great. If you are older, 75-78 degrees F can feel more comfortable. Do keep in mind that as you raise the temperature on your thermostat you are raising your utility bill as well. 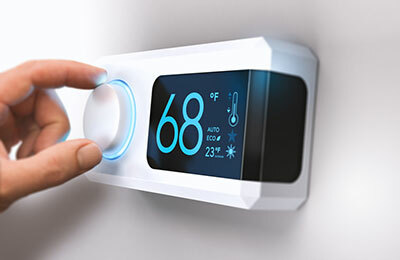 Most estimates say that for every degree up on your thermostat in the winter will add roughly 5%-7% on your utility bill. Adding humidity, like a whole house humidifier, can also really help during the winter months with keeping the temperature lower while staying warm. Government health advice is that living rooms should be heated to temperatures of 70 degrees F and the rest of the house to 64 degrees F.
If you’re still having difficulties adjusting your home’s temperature to a comfortable level, your heater may be in need for repair or replacement. Now, that raises the question, it is time to repair or replace? This is a question we get quite frequently at Boerne Air Conditioning Experts, and to be completely honest and transparent there’s not one simple cookie cutter answer. There are a lot of different factors to consider. First, think about the age of your current system. Also, consider how much you’re spending on your energy bills. Think about your repair costs now, and the potential cost of future repairs. Finally, think about possible rebate options and the total cost of ownership. We recommend considering heater replacement when a large repair is necessary or the age of the system is more than 10 years old. While there are many components to this decision, it’s best to have request an in-home consultation from one of our well-trained experts who can provide you with necessary information that will help you make a decision. Also, did you know that if you decide to have a new, energy-efficient HVAC system installed in your home that you’ll not only reduce monthly energy bills, but you could also receive manufacturer rebates and federal tax credits? 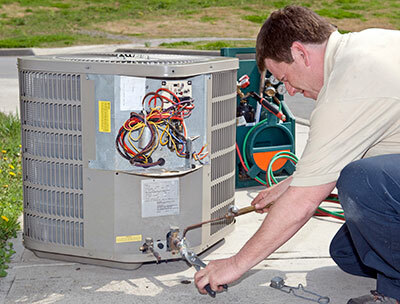 Our team at Boerne Air Conditioning Experts is happy to walk you through this process and explain additional factors to consider when it comes to heater repair and replacement.